unexpected tales such as roald dahl's are the best remedy for cynicism, i find. when i was fifteen or thereabouts, our english teacher offered us dahl-on-a-plate. i remember taking my dahl to my friday bath, lazily unawares of impending catastrophe, until anguish and stupefaction rushed me straight up from the foam. this was something else! one particular count which i find to this day remarkably sly, is the story about the [leathal] leg of lamb. enthralled to the end, until just like the clever protagonist, i started giggling. drawing challengers! you had it coming... my cruel mind works in mysterious ways sometimes. never mind, there's always two sides to any one story. at least two. 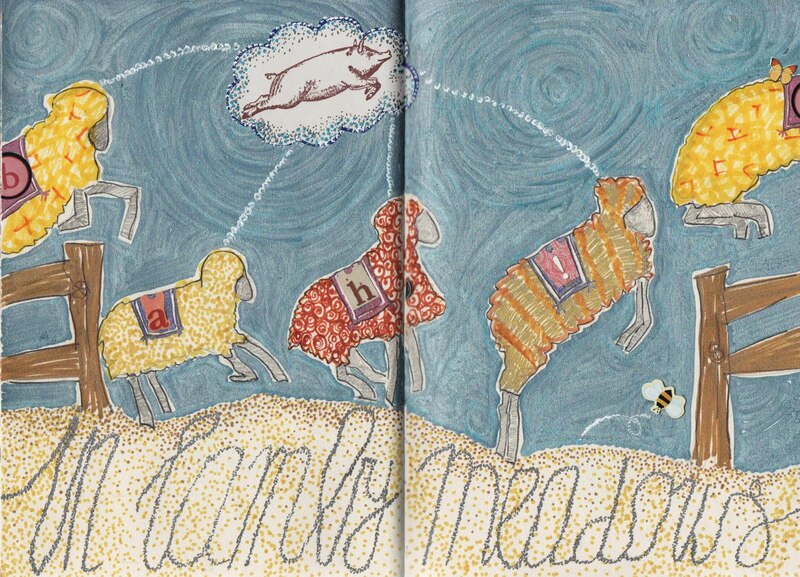 fyi, i prefer my lambs to dart about in the meadow too, just as much as stephanie probably does. ps - i think i feel a theme coming up! wow, i had no idea Roald wrote non children's stories. fascinating! i am a wimp - i actually love to eat lamb, but refuse to eat my lamb. come see my blossom flickr and look for the pig photo - lambie and pig chasing eachother. i had to giggle. I always love to see your brilliant brain at work in your images. Nice! I'ts finally morning in America so come on over Woolfie! Bon Appétit! hehehe..love Roald Dahl. great jumping sheeps...and pig, love the 'van-Gogh-style' sky. PS. '...feel a theme coming up?' So you are our hostess next week? I love those lambs. I'd like to see a book about them. And are you hosting us this time? Your theme sounded great. I'm in, you know! really love this banner today - very fresh and spring-y.